The state of stress is familiar to everyone. 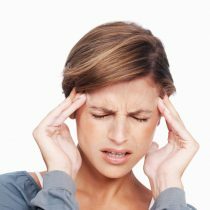 The organism in this period seems completely depleted, fatigue is piling up, anxiety appears, often such a condition is accompanied by headache and insomnia. The tension is growing rapidly. In some cases, digestive activity is weakened, which leads to pain in the abdominal area and diarrhea. 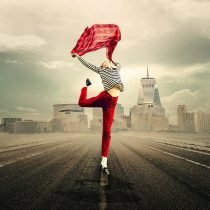 It is recommended to deal with stress as quickly as possible. But what can you do if you do not want to seek medical help? 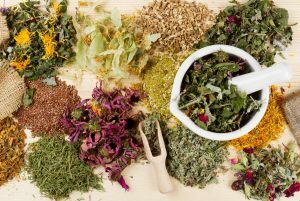 You will be glad to find out that there are natural herbs able to help when you experience stress. All of us from childhood are familiar with chamomile and its medicinal properties. For sure, each of us at least once in life tried tea from this plant. The infusion of chamomile helps in the fight against insomnia and headache. It is recommended to drink chamomile before going to bed as it relieves fatigue and disposes to a night rest. After drinking a cup of chamomile tea in the morning, you will experience extraordinary vigor and energy. Dried chamomile is famous for its powerful sedative effect. It relieves anxiety, which arose after a stressful situation. This herb perfectly relaxes the entire body. To make a healing drink, dried inflorescences in the amount of 1-1.5 teaspoons are steamed in a cup of boiling water and left for a quarter of an hour. Then filter it and give a little cool. Chamomile tea is recommended to drink in a warm form, but not hot! Take half a glass of this natural remedy three times a day, preferably before meals. Don’t add sugar to the drink. You can also combine chamomile with mint or melissa. 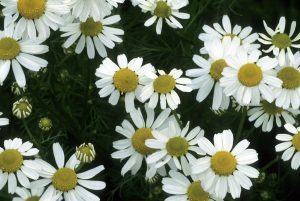 In addition to soothing action, chamomile is used to normalize the gallbladder and stomach. It also alleviates chronic inflammation and cleanses the mucous membrane. Important: The course of using chamomile tea with the aim to relieve stress should not be more than three weeks. People call Melissa a lemon mint. Its pleasant aroma of melissa exudes due to the fact that its leaves have essential oil. Also the leaves of lemon mint are rich in vitamin C, tannins, carotene, resins. But it is thanks to essential oils in lemon balm that it has a lemon smell and a bit bitter-spicy taste. And it is thanks to essential oils that melissa has strong soothing properties. Even a weak infusion of this wonder plant significantly relaxes and soothes. In addition, a huge plus of Melissa is that it does not cause drowsiness. Agree, in some situations it is very important. Moreover, Melissa increases the general tone of the body, it charges it with energy and vitality. A strong decoction of this plant will save you from insomnia. Close tightly and leave for 2.5 hours. Filter the ready drink and take it three times a day for 100-120 ml. Important: Melissa is contraindicated if there is an individual intolerance or in people with low blood pressure. This herb will come to your rescue in case you cannot fall asleep due to stress. In addition, it is often used in cases of severe anxiety when any important event is approaching, for example, speaking before a large audience or exam. 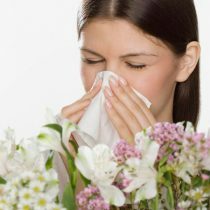 Valerian is allowed to take both during the day and immediately before going to bed. Begin to take valerian from small doses, which, if necessary, can be gradually increased. 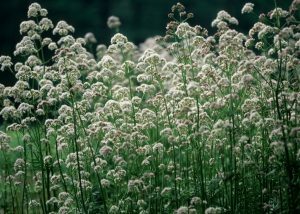 In case of insomnia caused by stress, it is recommended to take a root extract of valerian in an amount of about 400 mg. If you wish to use this herb as a sedative, then the dose of the extract should be approximately 200 mg. Important: The result does not take long to wait – the effect comes after half an hour after taking. St. John’s wort in the form of tinctures is used not only against stress but also in case a person suffers from depression. It perfectly removes the symptoms of a nervous system disorder and can be used during the menopause and premenstrual syndrome. 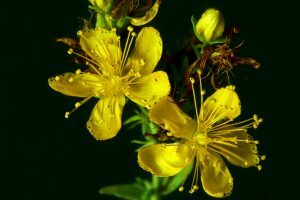 According to medical studies, St. John’s wort contains many chemical elements that can alleviate the general condition during a depressive disorder. Pharmacists explain this effect by the fact that the compounds that make up the herbaceous plant prevent the brain cells from absorbing back the neurotransmitter such as serotonin, which is also called the hormone of good mood. This herb rarely shows any side effects. Studies of the properties of St. John’s Wort have shown that the components – hypericin and hyperforin, which are part of the plant – have a positive effect on the normalization of the CNS. 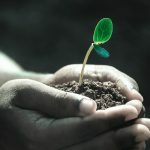 Scientists in the study of plant qualities found that it is not inferior in effectiveness to standard antidepressants used in the treatment of mild and moderate depression. 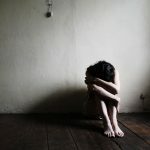 Antidepressants based on St. John’s wort are authorized for use by persons whose activities are related to work in hazardous areas and the management of cars. How to prepare an antidepressant using St. John’s wort? Preparing a plant antidepressant insist St. John’s wort only on an alcohol basis. It can be both medical alcohol and vodka. Alcohol is first bred to a fortress of 40 °. In glassware, 40 grams of St. John’s wort and a couple of glasses of medical alcohol are combined. Leave the tincture for 14 days, then filter it. The finished product is taken in the amount of 20 drops twice a day. To prepare the drink, you need to take two teaspoons of a dry mixture of St. John’s wort, which are poured into 200 ml boiling water. Tea is freshly brewed twice a day, in the morning and evening hours. Before use, it is necessary to infuse tea for 10 minutes. To achieve a therapeutic result, tea should be drunk for 2-3 months. The onset of antidepressant action of tea is possible not earlier than in 3-4 weeks. Quite often depressive conditions are accompanied by sleep disturbances. Get rid of them with the help the powder of St. John’s wort that can be bought in any pharmacy. It is recommended to take 2-4 grams of powder per day, divided into three doses. The effect of treatment with plant powder will appear after a month of daily use. The broth is made from 300 ml of water and two tablespoons of dry St. John’s wort. Dry raw plant is poured with water and heated on a water bath, then boiled for 25 minutes. After bring it to the original volume, adding boiled water. Drink this remedy three times a day (the third part of the glass after eating). After 3 months of treatment with the help of this decoction you will get rid of feelings of anxiety completely. Important: Safety of this natural antidepressant allows using remedies on its base in the treatment of depression by pregnant women, elderly patients and people with weakened immunity. The composition of this herb contains menthol, limonene, caryophyllene, alpha-pinene, carvone and other chemical compounds that work together and help to get rid of the effects of stress. Mint tea perfectly relaxes, reduces anxiety and irritability. The important thing is that mint tea will help you relax. In one study, it was found that using mint during stressful situations reduces anxiety and fatigue of the interviewed by 20%, and also reduces their disappointment by 25%. If it is a matter of losing weight, increasing the level of cortisol as a result of constant stress can affect metabolism in the negative way. Meanwhile, the soothing, relaxing aroma of mint removes irritation and restores the proper functioning of the body. 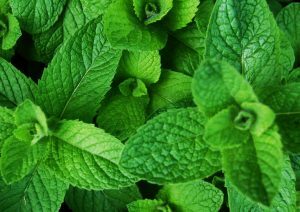 Mint is stored for a very long time in dried form. 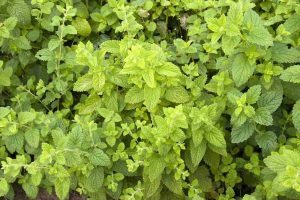 Use the summer period to make fresh mint stocks. The plant can be dried or frozen. 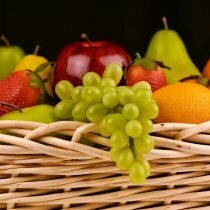 Any treatment does not lead to loss of flavor and useful properties, and therefore the stock product is suitable for any recipe. There is no special recipe for tea. It’s all about taste. Mint can vary any drink (tea, lemonade, plain water). Important: Remember that it is not recommended to abuse mint tea, because in women it can cause problems in gynecology, and men may have problems with potency if drink mint tea too often and in large quantities. Ginseng is an excellent assistant in the fight against stress, which was caused by increased mental activity. 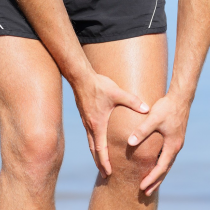 It is one of the best stimulants of the nervous system and leads the body into tonus. 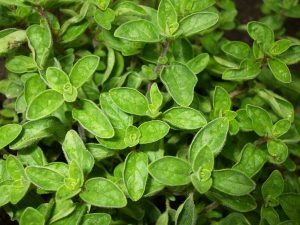 Often, this herb is indicated for use by people with a tendency to neuroses and depression, which are accompanied by a sense of fear. In the course of numerous studies it was proved that tincture from ginseng root is practically similar in its properties to tincture from ginseng leaves. Their pharmacological properties coincide. Both can be completely interchangeable in the treatment of type 1 and type 2 diabetes, necrosis and trophic ulcers, which complicate the course of diabetes, hypotrophy and neuropsychiatric diseases, in the treatment of chronic fatigue syndrome, the treatment of the body and its recovery in the period after severe stress. Today the most popular remedy is tincture of ginseng on vodka, alcohol or wine. 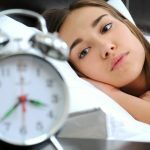 This tincture is able to solve human problems associated with chronic fatigue, with reduced efficiency, recovery from a serious illness, and the work of the cardiovascular system. It will help get rid of neurosis, psychosis and neurasthenia. fill it with vodka at the rate of thirty grams of powder per liter of vodka. Infuse the content you need about three to four weeks. Periodically you need to mix the contents of the bottle. After the desired time, filter everything and tincture is ready for use. If you want to use this tincture for preventive purposes, then take this tincture once or twice a day for twenty drops thirty minutes before eating. Take this tincture for up to a month and a half, then take a month off, and then again extend the course if necessary. If you take the tincture as a medicine to treat some disease take thirty to forty drops per day after consulting your doctor. 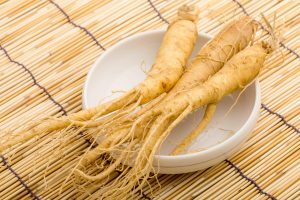 Important: Do not forget that ginseng may have an exciting effect, that’s why refuse to use it in the afternoon, otherwise you risk getting problems with sleep. 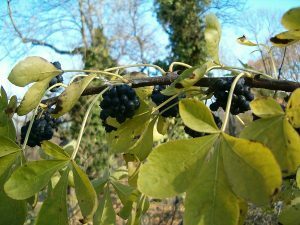 This herb is an analog of ginseng but it works much more efficiently. For this reason, it is customary to use it in small doses. According to the clinical data, patients with hypochondriacal, traumatic, psychogenic, obsessive and toxic-infectious conditions, previously unsuccessfully treated with synthetic drugs, hormones, hypnotics, fortifying agents, began using Eleutherococcus extract in a dose of 40-50 drops three times a day before meals. Before going to sleep, patients received sedatives. The patients got rid of hypochondria and became active. Within two months of taking the Eleutherococcus extract under the supervision of the clinic, the condition of the patients improved significantly. Under the influence of this natural remedy brain activity increased. Eleutherococcus is considered to be the so-called adaptogen. This is a medical term used to describe substances that can strengthen the body and increase overall stress resistance, help to adapt to changing environmental factors, including psychological factors. A glass of boiling water is added to the tablespoon of raw material and everything is tanned in a water bath for a little more than half an hour. Store the broth in the refrigerator for 3 days. it is advisable to choose porcelain dishes for this purpose. Insist as a normal brew and drink after 10 minutes. 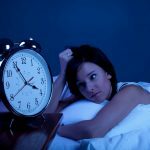 Important: It is necessary to pay attention that the treatment of insomnia is carried out in the complex and the preparations of Eleutherococcus are not applied immediately before bedtime, as this may cause overexcitation. 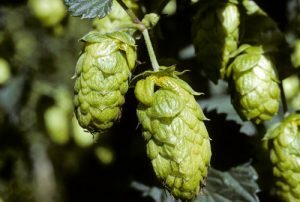 Cones of hops are accepted to brew in those situations when a person is not able to cope with stress on his own. This plant perfectly copes with emotional stress and removes excitability. add 250 ml of boiling water to the tablespoon of hop cones and drink the brewed tea before bed. Important: Decoction from hops cannot be abused as this can lead to such negative consequences as nausea, vomiting, migraine, dizziness and pain in the heart. The broths of origan will help to get rid of tension effectively. Even the fragrance of fresh plant is helpful. It shows good results with convulsive conditions, irritability and neuroses. It can be recommended to women who have a difficult premenstrual syndrome. In ancient times it was believed that origan is a potion that drives away evil spirits, it was used against sorcery, slander and enchantment. filter and take a tablespoon after eating. the water temperature in which should not exceed 37 °. 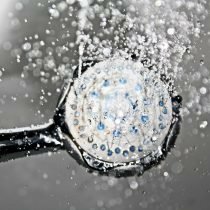 It is recommended to take a bath about a quarter of an hour. Important: Preparations from origan are used from nervous stresses and excitations as a sedative. This plant shows a very mild sedative effect, protects against stress and shows an anticonvulsant effect. 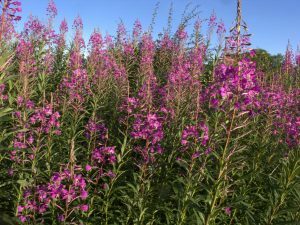 Drink from the willow herb will help you not only to eliminate anxiety but also give the body the ability to continue to withstand the influence of factors that cause stress. Every evening you will quickly fall asleep and sleep soundly all night. filter and drink before eating. The amount of raw material can be increased, while reducing the volume of water. Important: The finished natural antidepressant is taken an hour after it is infused (a tablespoon three times daily before meals).